About the extra yardage in the chocolate I purchased for pants? Well, I sheepishly admit that I didn’t quite have enough width to cut the pants’ back through the crotch. Well, I had more than enough cutting scraps left, so I knew I could solve the problem. 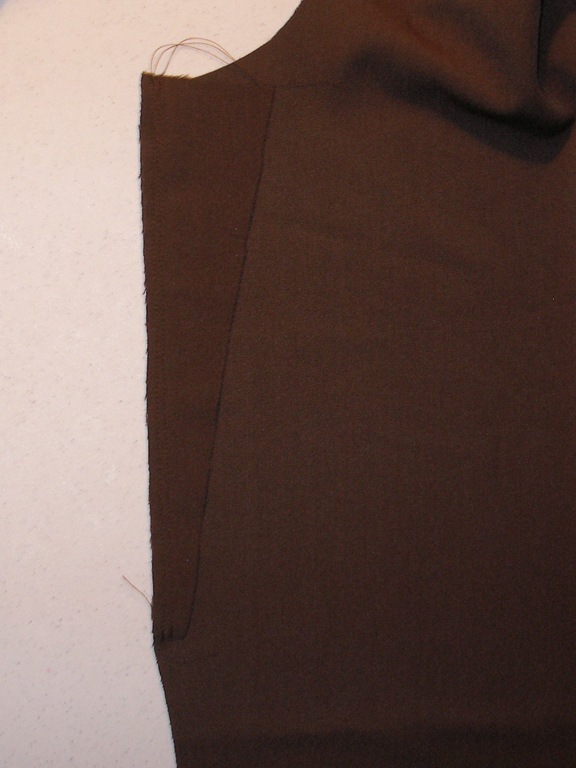 First, I made sure the edge of the pants piece was on the straight grain of the fabric. Then I lapped the extra piece (also cut on the straight grain) over the pants back 1/2” width because I only wanted my seam to be 1/4” total. Then I proceeded to finish cutting the pants back after pinning the patch to the rest of the piece. And here are the pants with my piecework completed. It will not be noticeable when I’m wearing them. I’m happy that I could salvage the pants with the cutting leftovers. 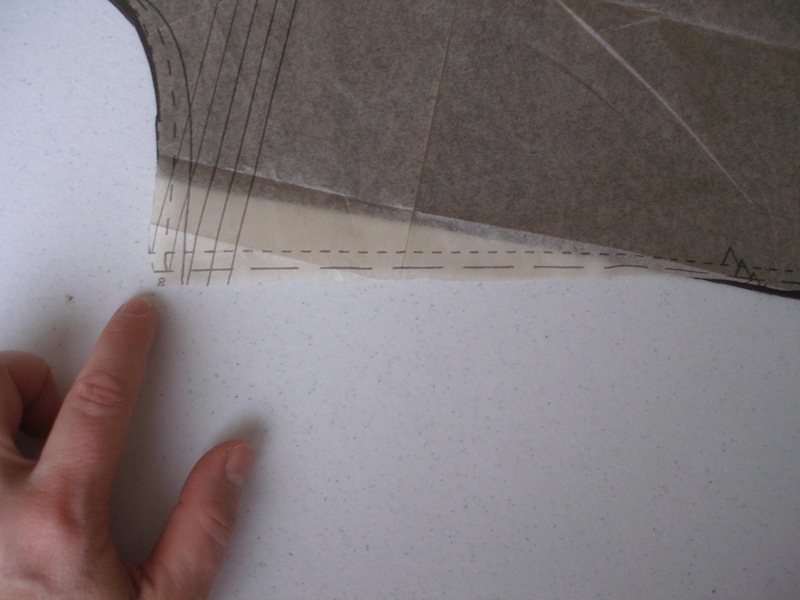 And next time I’ll be careful to carry on in a blog post about how much I can squeeze out of piece of fabric! < Previous I’m working on it! This is a very traditional method! None other than David P. Coffin writes about it in his Making Trousers book (p. 46). @Kay: Thanks for the book tip, Kay. I’ve tracked down a copy at my local library and can’t wait to read it!